On the heels of their New York appearance, named one of the best performances of 2017 by Nate Chinen of WGBO and highlighted by the New York Times as one of the “Ten Things to do in NYC Now,” New England Conservatory faculty members and long-time musical partners vocalist Dominique Eade and pianist Ran Blake continue and extend the celebration of their widely-acclaimed 2017 Sunnyside recording, Town and Country on Saturday, February 3, 2018 at MIT’s Killian Hall, 160 Memorial Drive, Cambridge, MA. 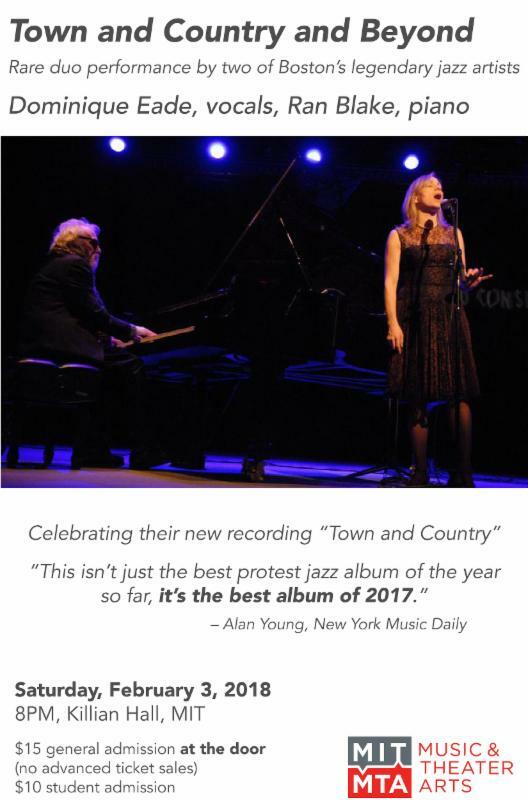 Voted the #2 Jazz Vocal CD by the 2017 NPR Music Jazz Critics Poll, Town and Country brings listeners on a journey through the American folk tradition with unique takes on Bob Dylan, Johnny Cash, traditional folk tunes, gospel classics and more. 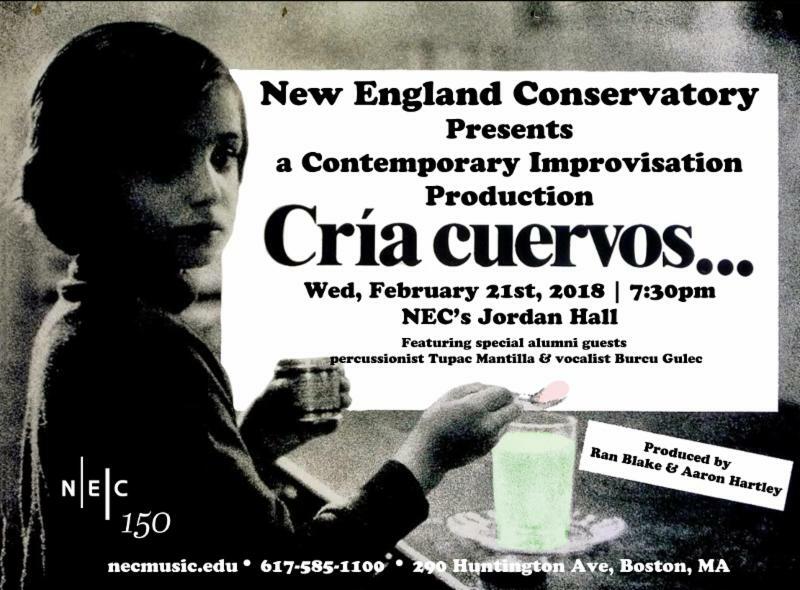 On February 3, they will expand their repertoire to include original music and obscure standards. Four and a half stars. “[Blake and Eade] can instantly access deep emotional and musical essences…chilling the bones and soothing the soul. Both Blake and Eade have taught MIT students through its Emerson Scholarship Program and have been frequent featured guest artists on MIT concerts.